Park Plaza Hotels & Resorts and art’otels boast stylish, individually designed hotels offering first-class meetings and event facilities across the United Kingdom, Germany, Hungary, The Netherlands and Croatia; including Amsterdam, Berlin, Nuremberg, Budapest, Leeds, London, Nottingham and Pula. 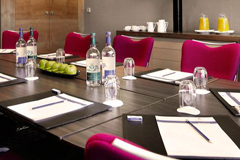 Modern function space is flexible for meetings use, with free Wi-Fi integration and most importantly, natural daylight or high specification intelligent lighting in all suites to keep delegates alert. Our event facilities are perfectly complemented by stylish guest rooms for multi-day training event requirements, award-winning restaurants and bars, and flawlessly delivered reliable service. 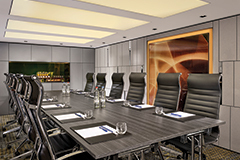 With a range of outstanding facilities and dedicated team of professionals on hand, you’ll be pleased you chose Park Plaza Hotels & Resorts and art’otels for your next training event.